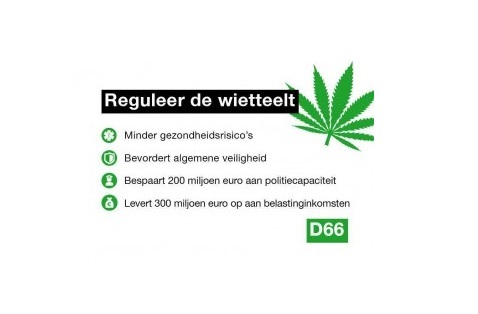 A fresh proposal from the Dutch social-liberal party, D66, wants to customize the policy on cannabis. 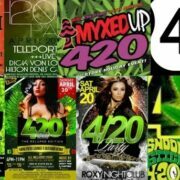 With these proposed changes, the cultivation and supply of cannabis will be regulated together with coffeeshop retail, and become part of a closed supply chain. Growers would require a tolerance decision from the Minister of Health. The production of cannabis would remain illegal, but no longer punishable. Growers would also become taxable, and at long last the production of marijuana and hashish can be held to account regarding public health standards. Hash and weed would be delivered to the coffeeshop sealed inside labelled packages containing up to 5 grams. This way coffeeshops can be supplied in a responsible manner, and consumers know exactly what they’re getting. How to impliment this new policy on the ground would be largly left up to the municipalities.